Fans of the Finger Lakes Grassroots Festival of Music and Dance had been eager to hear this year’s lineup, and they were delighted at the May 2 announcement. 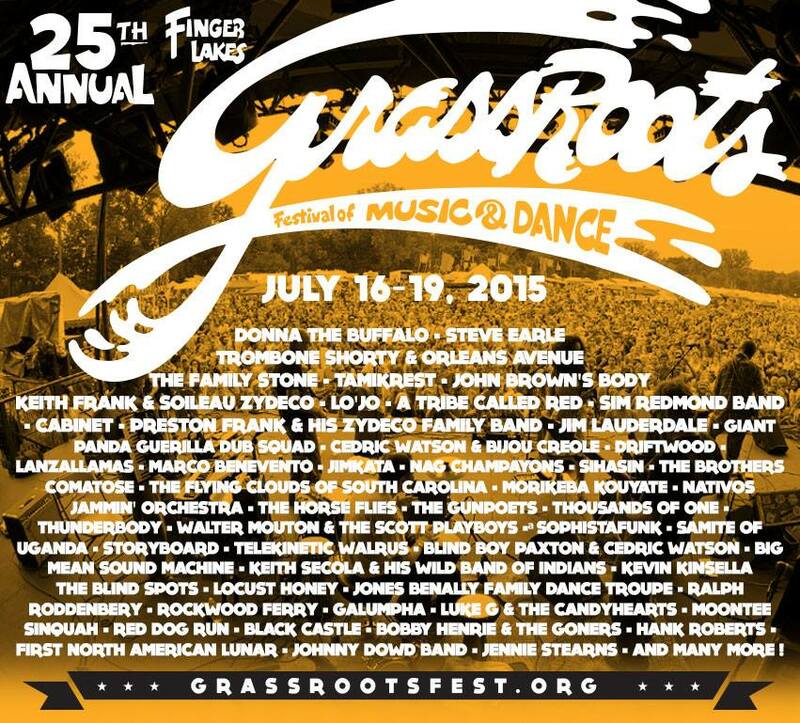 Now celebrating its twenty-fifth year, Grassroots is a celebration of music and dance, with a cause. Held annually at the Trumansburg Fairgrounds in Trumansburg, N.Y. this year’s festival will be held July 16-19. Grassroots started as a concert at the State Theater in Ithaca, N.Y. to benefit an AIDS organization, AIDSwork. The festival has grown into one of the premier festivals in New York State, featuring the bands that helped get it all started like Donna the Buffalo, and The Horse Flies — keeping this festival intimate and true to its community roots. 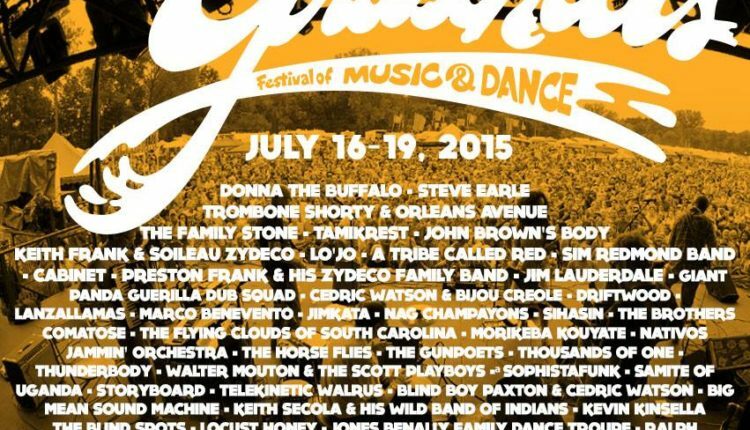 This year’s lineup includes: Donna the Buffalo, Steve Earle, Trombone Shorty & Orleans Avenue, John Brown’s Body, Sim Redmond Band, Giant Panda Guerilla Dub Squad, Cabinet, Driftwood, Marco Benevento, Jimkata, The Horse Flies, Thunder Body, Sophistafunk, Big Mean Sound Machine, Preston Frank & His Zydeco Family Band, LO’JO, A Tribe Called Red, and so many more. Check back as we get closer to the festival for updated information and the full schedule once it is released. Tickets are available on the festival website. With so many family friendly price options, this festival is a MUST for any Upstate New Yorker. 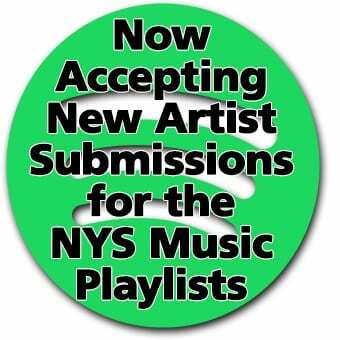 Kristen is the Features Editor at NYSMusic. She lives in Rochester, NY with her family, where she sees live music as often as possible. Kristen is a longtime fan of the Grateful Dead and Phish, with a passion for all things Bluegrass.